Stop Press! 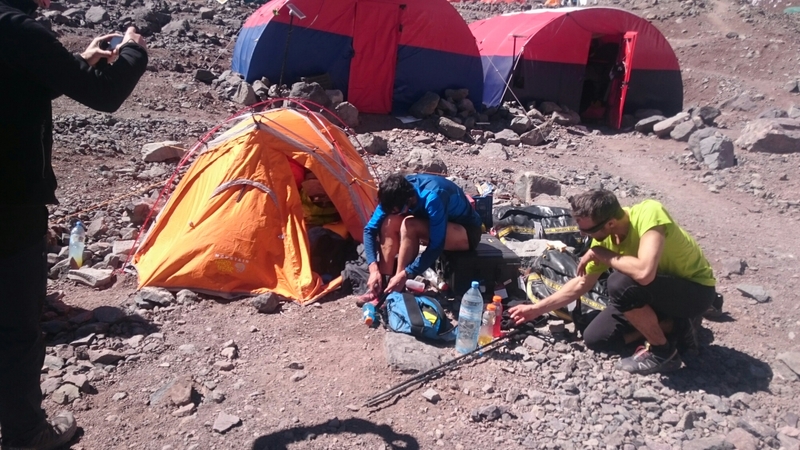 23 December 2014: Kilian Jornet is on target to set the record for the fastest ascent and descent of Mt Aconcagua, Argentina. 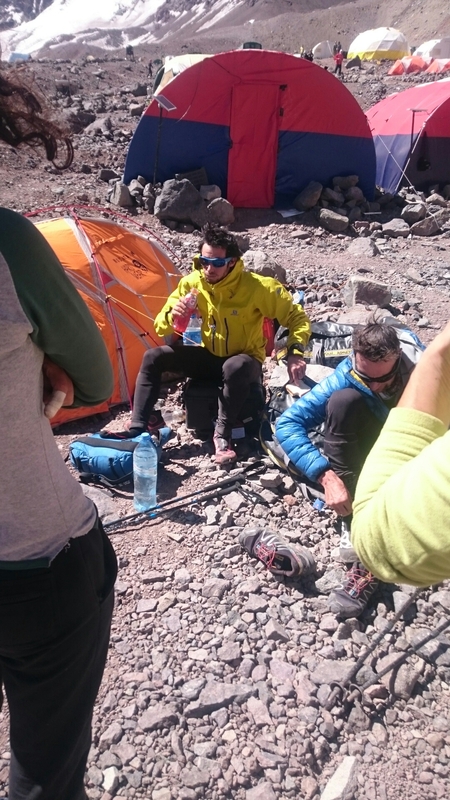 Here’s a picture of Kilian and Seb Montaz at Base Camp (4300m above sea level) as Kilian changes into lighter running gear for his descent back to the Horcones Valley. Rumours on the mountain are that he summited in six and a half hours and is on track to get back to the valley within ten and a half hour. I even had the privilege of running out of Base Camp with Kilian and Seb. Fingers crossed Kilian flies down the rest of the mountain.